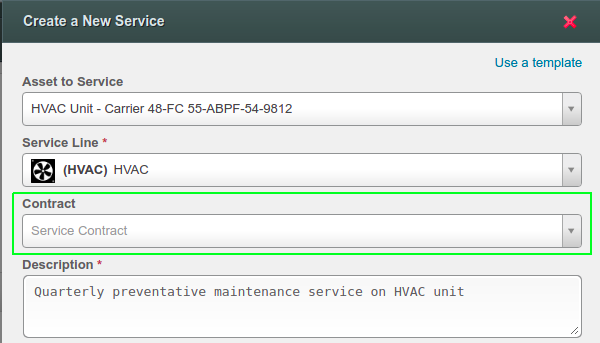 You can now assign each service that you perform to a specific contract. This allows you to easily organize your contracted services, and determine which services are performed out of contract. All contracts that are related to this location are available for you to select. In future releases, you will be able to leverage your services' contract associations to automatically assign the jobs that you create to the correct contract, and to report on your success in delivering contracted services. Brand web site. 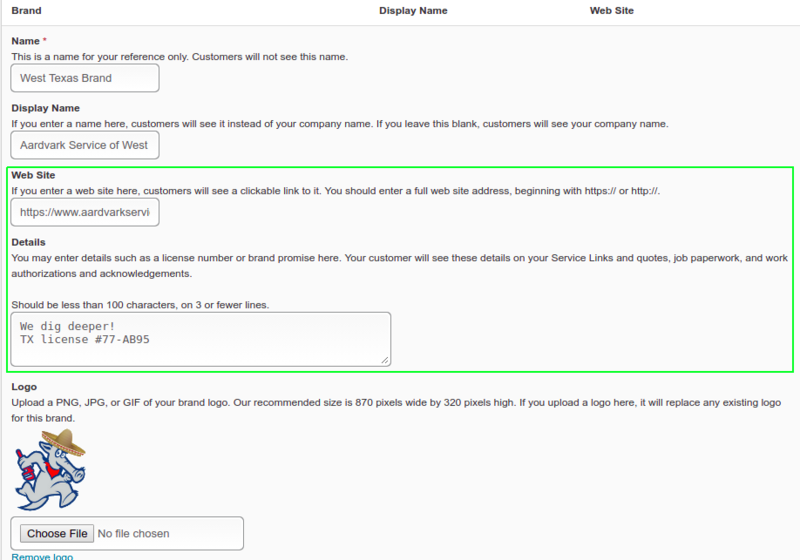 Easily direct your customers to the correct web site for each brand under which you perform service. Brand details. You can display a brand promise, contact information, licensing details, or other high-value information for each of your brands. The brand web site and details that you enter will be displayed on customer-facing records such as Service Links, quotes, and work acknowledgements. Please see this support article for more information about building your company's brands in ServiceTrade. You can also include your brand name, web site, and details in blank paperwork by using the new servicetrade_job_brand_name, servicetrade_job_brand_web_site, and servicetrade_job_brand_details fillable blank paperwork fields. Please see the blank paperwork support article for more information about using fillable paperwork fields. 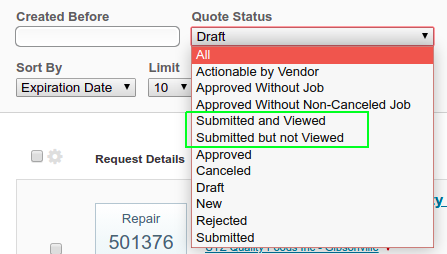 Submitted but not Viewed: All quotes that have been submitted but not yet viewed by the customer. You can use these searches to create quote followup workflows. For instance, you may want to send a followup reminder (using the quote bulk messaging feature) to submitted and viewed quotes to ask the customer if they have any questions about your quotes. The QuickBooks Online "blue dot" connection dot indicator beneath your avatar has been removed. The QuickBooks Online connection itself is unchanged -- this is simply a visual change per Intuit's integration best practices.